Here is a most famous song by one of America's most popular singers. 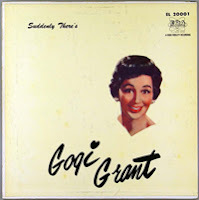 Gogi Grant (born Myrtle Audrey Arinsberg in 1924) is an American singer. She was born in Philadelphia, Pennsylvania. At the age of twelve she moved to Los Angeles, California. 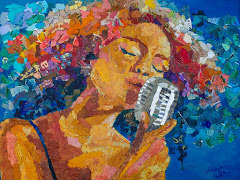 In California she won a teenage singing contest and appeared on television talent shows. In 1952 she began to record, using first the name "Audrey Brown" and later "Audrey Grant". She was given the name "Gogi" by Dave Kapp, the head of Artists and Repertory at RCA Records, who liked to patronize a restaurant called "Gogi's LaRue". In 1955 she signed with a small record company, Era Records, and had her first top ten hit with "Suddenly There's a Valley". The next year, she had an even bigger hit (reaching Billboard magazine's number one spot) with "The Wayward Wind" and she was voted most popular female vocalist by Billboard magazine. 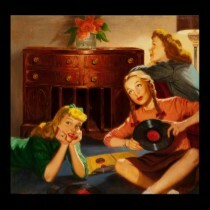 In 1957 she supplied the vocals for Ann Blyth in the movie portrayal of Helen Morgan's life. The soundtrack occasioned her return to RCA, where she also had a hit the following year with "Strange Are the Ways of Love". Although she made albums and appeared on television into the 1960's, her popularity declined and she retired from singing in 1967, nevertheless an album of hers was released in England some twenty years later. Miss Grant is still performing, currently she headlined with The Fabulous Palm Springs Follies in Palm Springs, California. Her last show was on December 31, 2006 with the Follies. She is still performing at 82 years!